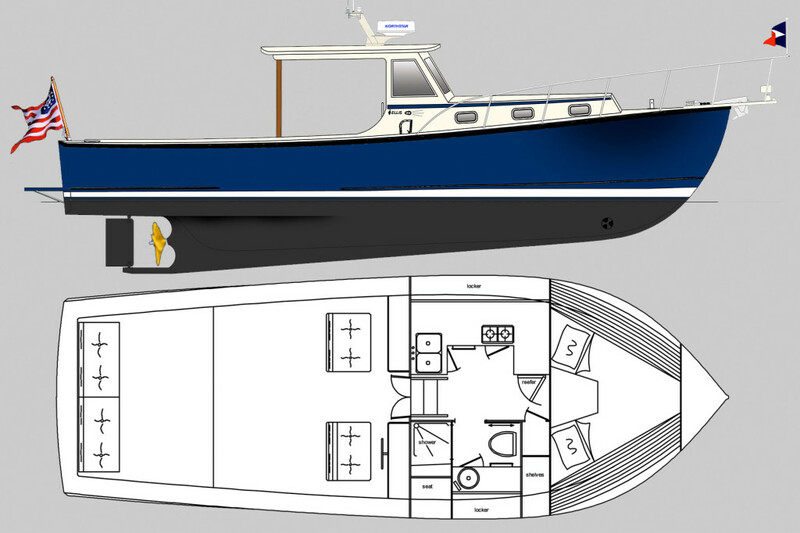 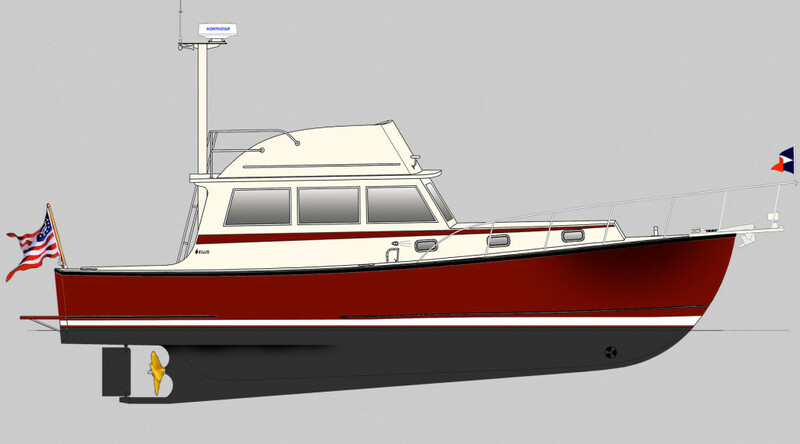 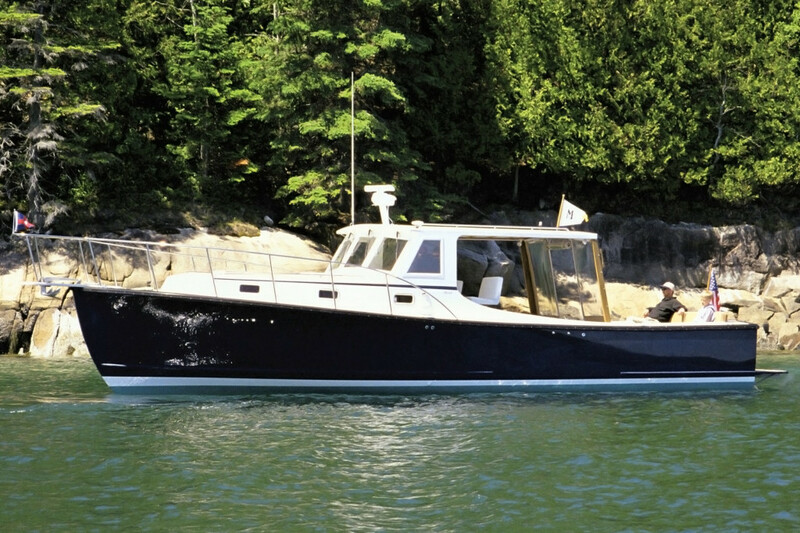 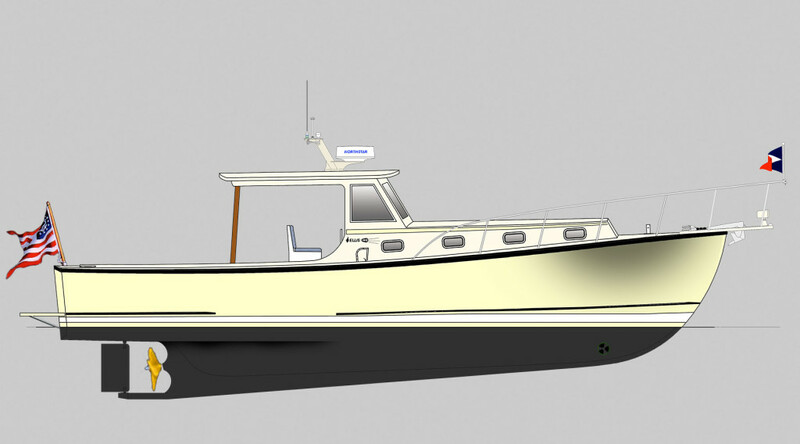 “It is no coincidence that a boat that works well for the commercial lobsterman is also going to be comfortable and safe for coastal cruising…” Safety and style are built into each Ellis 36’ Lobster Yacht and Lobster Cruiser. 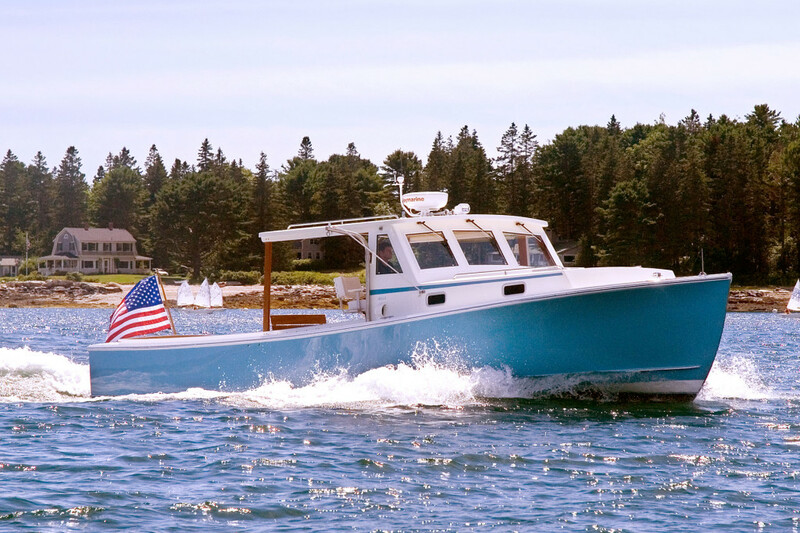 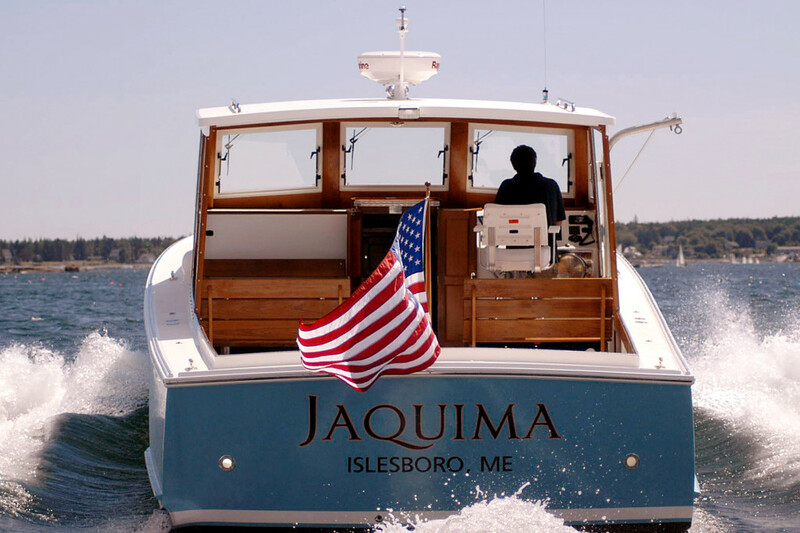 With an Ellis boat not only will you travel in style and comfort, but you will feel secure in the knowledge that you are in a boat designed to handle rough Maine waters. 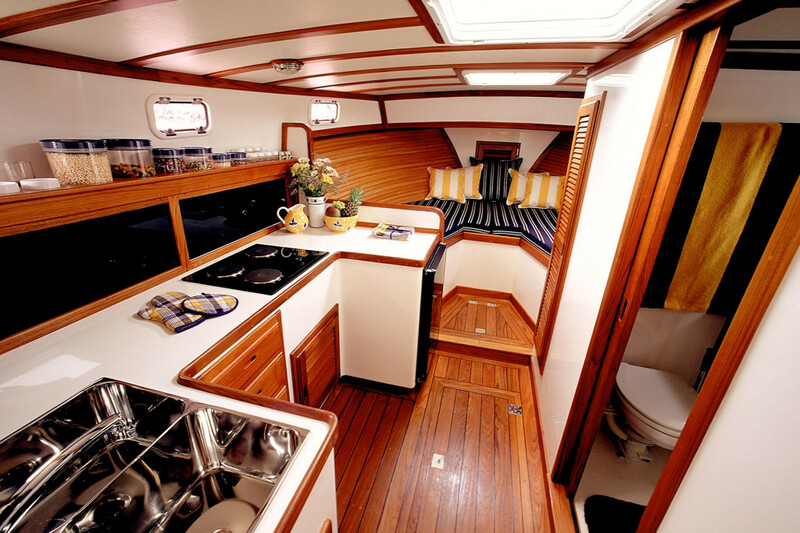 Often not considered is to have a port side enclosure for a galley up. 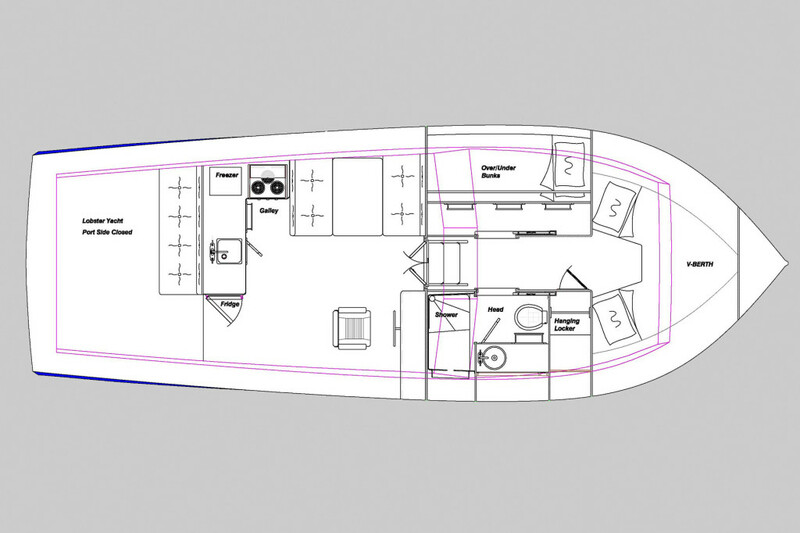 This gives space below for larger family accommodations.